It was not very long ago when Bihar chief minister Nitish Kumar~while his JD-U was still a part of the erstwhile ruling Grand Alliance~had advocated for “Sangh-mukt Bharat” (making India free from RSS). He had given this call at a rally he addressed in Uttar Pradesh in August 2016. Barely few months into the NDA, it’s an altogether different story in Bihar now. The RSS, once looked down upon by the JD-U, has suddenly expanded its activities across the state and has strengthened its organisational base post Kumar returning to the NDA. In the past five months, RSS chief Mohan Bhagwat visited Bihar at least thrice while in the last nine months, he visited the state four times, indicating how Bihar remains important for the RSS. Although the purpose of the RSS chief’s visits has been different, this has strengthened the base of the hardline Hindutva outfit. This could very well be underlined from the fact that the number of people joining the RSS has grown from mere 25,000 in 2013 to 1.25 lakh in 2017, as per media reports. Sources said right now 1,563 shakhas (branches), 242 saptahik milan (weekly meetings) and 137 mandalis (monthly congregations) are operating across the state. The RSS activities took a sudden jump shortly after Bhagwat focused on Bihar. He intensified his activities with his visit to Bhojpur district in October last year. Bhagwat visited here to preside over a function to celebrate the 1,000th birth anniversary of Hindu theologian Ramanuja Acharya, a philosopher of the 11th century. What was classic Bihar chief minister Kumar, too, was invited at the function although both didn’t share the dais together. Two months later, Bhagwat reached Bihar to attend a function in Darbhanga district, considered to be the cultural capital of the state. During this tour, he voiced concern over the plight of the farmers adding the prosperity of the country was directly linked to agriculture. This was followed by his 10-day visit to Muzaffarpur in February this year during which the RSS chief held meetings with farmers, farm activists and cow-breeders. And, now currently he is again on his three-day visit to the state. This time he has come to address an educational training session of RSS workers in Nawada, the home parliamentary constituency of union minister and firebrand BJP leader Giriraj Singh. 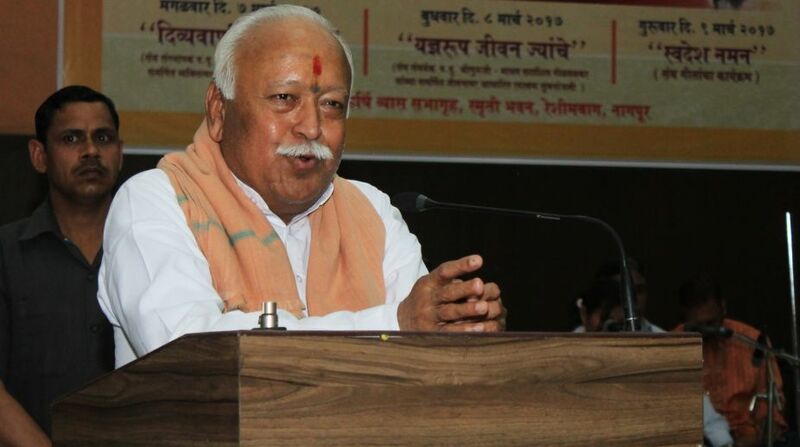 Bhagwat’s frequent visits to Bihar, however, have triggered various political speculations. Although it’s not officially confirmed, the RSS chief is said to be busy assessing the ground situation in the state with the voice of dissent coming from the JD-U leader and chief minister Kumar. 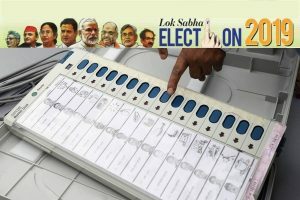 Kumar, of late, has indirectly condemned his ally’s “divisive” policies as well as BJP’s three controversial issues which include banning Triple Talaq, introduction of Uniform Civil Code and abrogation of Article 370 which confers special status on Jammu and Kashmir.